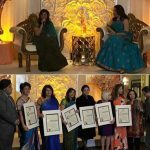 Sunita Sadhnani Wins Outstanding Achievement Award at IAF Women’s Gala! 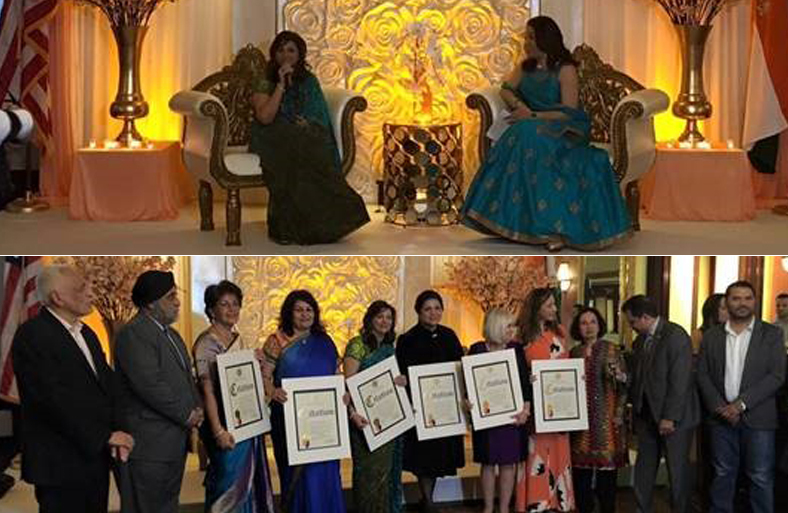 March 24, 2016 happened to be one of the most amazing days in the history of Glamorous Event Planners as our very own Sunita Sadhnani received an award at the IAF Women’s Gala for her Outstanding Achievement for her business entrepreneurship. 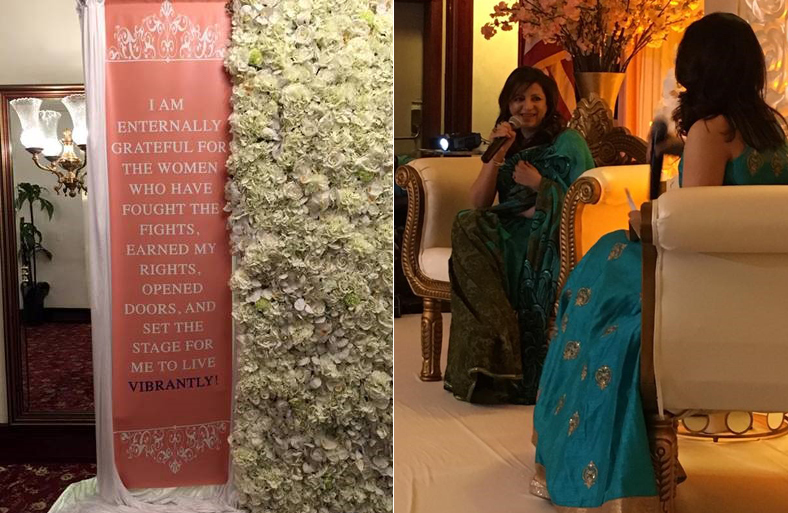 Indian American Forum (IAF) honored Sunita Sadhnani and many other outstanding women for their achievements, commitment, accomplishments and courage. 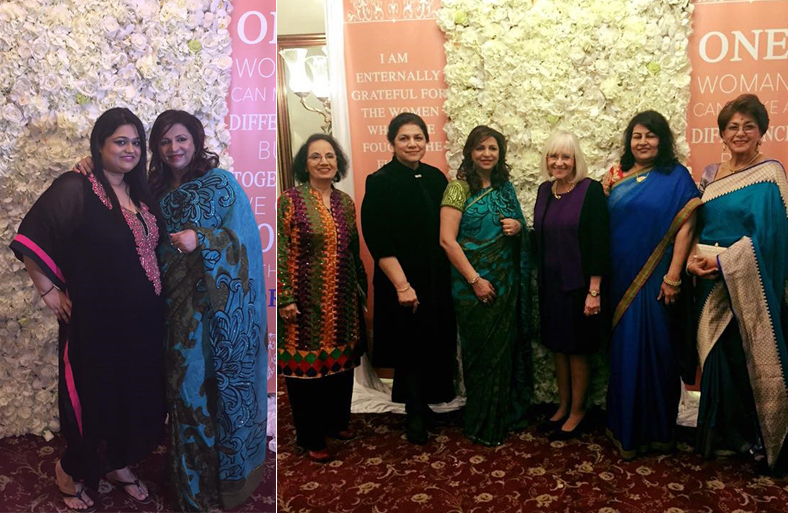 The Women’s Gala was held at Antus by Minar in Hicksville, NY on March 24, 2016. The Woman’s Gala is part of the National Women’s History Month, celebrating women of character, strength and accomplishments! 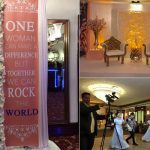 It is the Fifth Annual Gala Banquet that Glamorous Event Planners had the privilege to organize. Glamorous Event Planners was honored to be given the privilege to organize such an amazing event as the IAF Women’s Gala 2016. 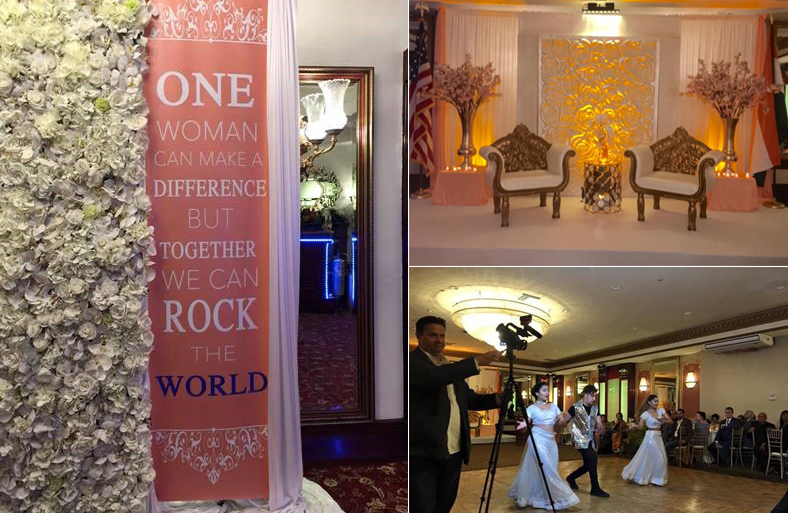 The stunning décor theme “spring”, in peach and white, made the venue look exquisite. Dance entertainers from BollyArts sprinkled some glitter to the already shiny event glowing for strong women! Dance artists, from BollyArts Dance Studio in NY, gave a stunning dance performance for the honorees and their family and friends. The dancers performed to Bollywood music which put genuine smile on all who watched! The performers adorned stunning costumes to go with the theme of the event. 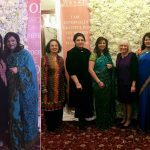 To honor the recipients even more, all the beautiful, courageous and strong women were pampered by Zeeshan Shamji with her stunning makeup application! 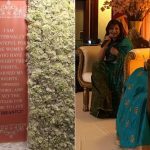 Sunita looked beautiful in her green sari, and the glamorous makeup by Zeeshan Shamji gave her an added glow! 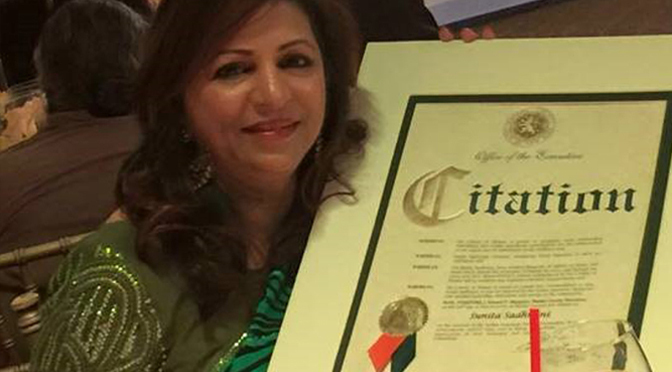 Glamorous Event Planners is super proud of our very own Sunita Sandhani for her amazing community services and business development. We would also like to congratulate of all the women who received this award and who make a positive difference to the community in any way possible!